I just read this short story from the Tsutsumi Chunagon Monogatari. It's a collection of short stories that were published in the late Heian period of Japan. This is right at the turn of the first millennium. The story is called "The Lady Who Loved Insects." Here is the online link from where I read it and give the page number, but I will try to publish the excerpt here if possible. Click Here! It is page 160-167. It is seriously a 10 minute read and it's really enjoyable. I think what I loved most about it is how the overall moral, as well as the events in the story are not that foreign. Japan in ~1000 ce is not all that different than Atlanta in 2017 (Which in the great scope of things what is 1000 years anyways, I guess for humanity it's something). In short, there is a young noblewoman who has an interest in all types of insects and spends the majority of her time observing them, naming them, etc. As you can expect, her family, neighbors, and other members of the community find her odd and unattractive. Apart from her fascination with insects, she doesn't keep her appearance clean and to the contemporary standard of beauty. In this Heian period, the nobility are all about art, literature, poetry, beauty, and generally follow a certain aesthetic. I really went out to look for a video to describe them more. The embedded link begins around minute eight, where he goes into the women of the era. I do recommend you start from minute one or six since it'll give you a more general idea about Heian culture. But yeah! 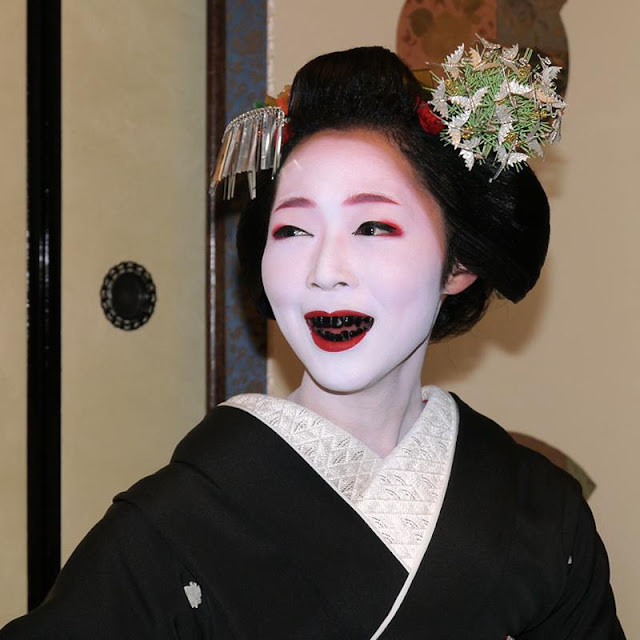 Some beauty norms we might find odd now are: hair as long as possible, shaved eyebrows replaced with high black smudges (hikimayo), white powder on the face (oshirio), and coloring their teeth black (ohaguro). Unfortunately it was banned in 1870 as Japan was exposed to more Western influences and it was deemed inappropriate. Back to the story- some guy gets wind of her and as a joke writes her a poem and sends with it a toy snake he made. It was to make fun of her, but she wrote (a poem) back anyways. This poem was found by a certain Captain and he was fascinated enough that he went to look for her. 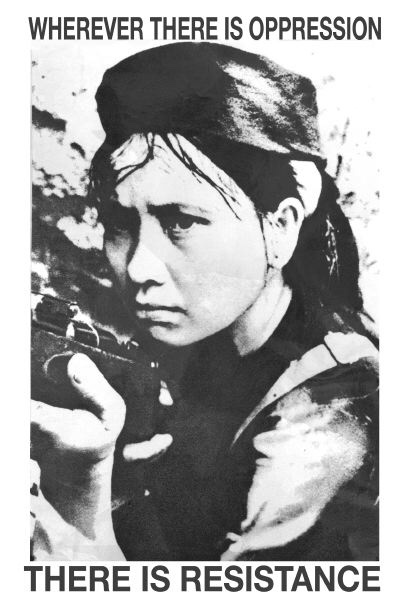 At this time, women aren't really meant to be seen by men, but she was looking outside the window chatting with the boys who were picking insects for her. He watches her and decides she's not all that ugly, and would improve if she did the minimum to clean up her appearance. "She had pulled her mantle over her head, but her hair hung loose beneath it, and very lovely hair was it too, but rather untidy looking, and the captain thought it must have been a long time since she combed it. Her thick, very dark eyebrows gave her face a rather forbidding air. Her other features were by no means bad. But when she smiled her white teeth gleamed and flashed in a manner that rather disgusted him, for there was something wild and barbaric about it." Isn't it amazing how beauty varies across time and cultures? The story ends here, and although it says it will be continued in chapter two, there is no chapter two 😖. "And she (the maid) went on for some time lamenting over the girl's deplorable oddity. At last the insect-lover could bear it no longer and said, "If you looked a little more below the surface of things you would not mind so much what other people thought about you. The world in which we live has no reality, it is a mirage, a dream. Suppose someone is offended by what we do or, for the matter of that, is pleased by it, does his opinion make any difference to us in the end? Before long both he and we shall no longer even appear to exist." Several of the younger servants had by now fathered round. They found her argument hard to answer, but secretly felt that this was a very dismal view of life." I guess it is a slightly depressing view of life (the end), but isn't life depressing? Nonetheless, I found it like -wow- we are still saying this and will probably all say this. If a girl in medieval Japan can do it, surely can I. Then I thought this is the original modern woman. BUT, I'm sure that from the dawn of civilization there have been people rejecting society's expectations. Let's keep the train going- choo choo.